Today's Grange provides an opportunity to serve by providing leadership for local community service projects is what the Grange does best. Examples of some projects include organizing a softball league, providing hearing testing, building a community center, sponsoring a community fair, staffing an after school child care program, conducting a candidate debate and organizing voter registration drives. 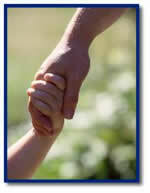 The Grange believes in leadership development, and reaches out to all people in an effort to respond to real needs. It builds a better community by providing the services that people need to live better lives. In working together, the Grange is able to provide assistance when the government can't and individuals alone aren't strong enough. By working together the Grange builds community and people. 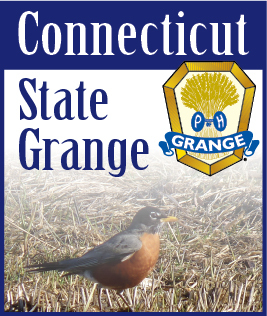 The Grange provides each member with a legislative voice at the local, state and national level. Members are part of a grassroots constituency enabling them to effectively express their views and influence legislative policy at the highest levels of government. The Grange is non-partisan, but it vigorously encourages member participation in the political process. The fellowship, recreation and social activities in the Grange are developed with the family in mind - children and senior citizens alike are very welcome in the Grange. Competitions in music, art, public speaking, crafts, and a whole variety of other activities are an important part of every Grange's agenda. The Grange in the 21st Century will be a preeminent organization. It will commit to the development of the potential in families, youth and adults of all ages through dynamic programs and experiences that educate, engage and enrich lives. The Grange will be noted for its commitment to the membership through its enabled leadership, its financial and organizational strength, and its ability to make a difference in the lives of children, youth, families and individuals. The Grange will be a relevant, caring and involved part of the community in which its members are located. It will be well known and understood and considered a viable, involved and distinctive organization. A person who becomes a member can expect to find in the organization a clear and impressive pathway to membership, outstanding fellowship with leaders and respected citizens of the community, the encouragement to meet and make new friends and the opportunity to lead and be well led. At the state and national level, the Grange will be flexible, well governed, proactive partner in support of issues that are relevant to members and the communities in which they live. It will be accountable to and supportive of the leadership and membership at the local Grange. The Grange will be responsive to the member's time, committed to membership growth, and designed for relevance and national preeminence.